In what I hope can become a recurring “thing” for TTAG, I’ve decided to start taking pictures and giving a bit of a review on the customer experience at various gun stores I find in my travels. 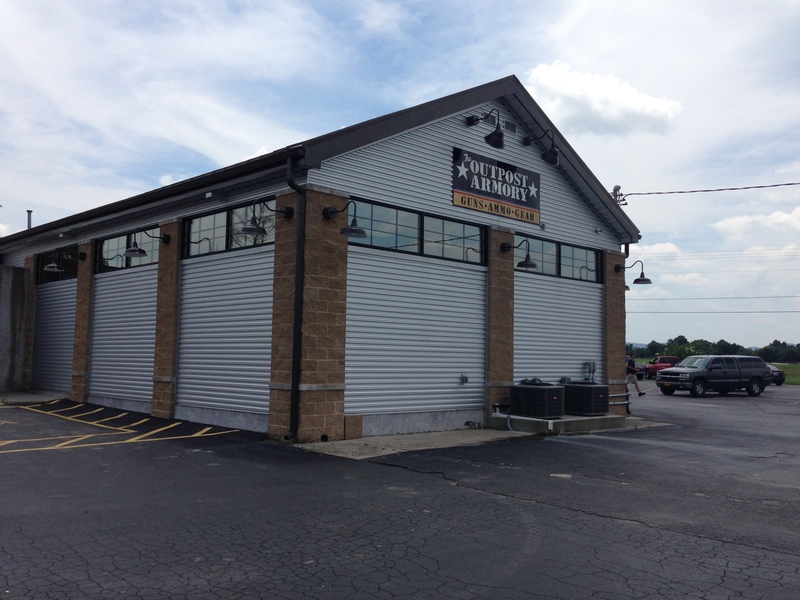 Today’s feature is Outpost Armory in Christiana, TN . . . I found myself at the Outpost after returning from the Nashville Airport on a mission to retrieve a friend for a boys’ weekend (some might call it a bachelor party). Located about 40 miles southeast of Nashville on I-24, Outpost Armory moves into first place for having the highest concentration of Barrett Firearms I’ve ever seen. Given that Murfreesboro is only 10 miles away, and a thread on AR15.com says that Ronnie Barrett’s son is the owner, I guess I’m not surprised. The Armory is also about the best-lit, cleanest gun store I’ve ever set foot in. All of the displays were organized in an appealing manner, the floors were clean, and…the guns. Oh baby, the guns. The big Barrett was there along with a dozen variations on the platform. I got to put hands on the BORS system as well as drool over some .50 cal suppressors. And they had ammo, too! And t-shirts, and Magpul goodies, and slings, and such. Just about anyone could expect to visit their store and find something you needed to buy. This hurts to say, but as any customer knows, gun stores aren’t typically known for their customer service skills. They mostly feature crusty gunsmiths flinging obscenities and guys named Richard asking, “Can I help you?” without actually much meaning behind it. The Outpost, though, is most decidedly not in that category. Everyone was very helpful, pleasant, and knowledgeable. No less than three people asked me if I’d found what I was looking for. So yes, the fine folks at Outpost Armory could have my business any day. And they did. 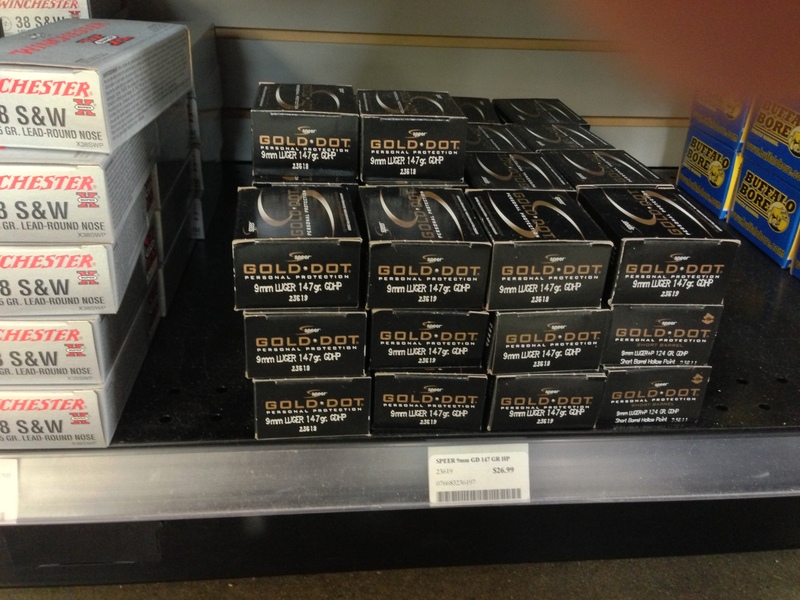 I bought a box of ammo because it was the only thing I could afford. I remarked to one of my friends as we were leaving that stores like Outpost Armory are the face of American Gun Store 2.0. My generation likes tacticool stuff, they’re used to a positive retail experience and they have cash to burn. The Outpost has the first two in spades and seems prepared to cheerfully accept the latter. If you find yourself anywhere south of Nashville, it’s worth your time to head over to Outpost Armory to drool all over their pretty guns. And if you buy one, invite us to come shoot it! Actually, the Barrett factory is right behind the store. There are no signs, and no, they don’t give tours. The store is really nice, I have to admit. They also don’t post their address publicly, so I didn’t want to say that. Let’s say this about The Outpost’s relationship with Barrett: When I took an armorer’s course at Barrett, they recommended we hit the store at lunch. 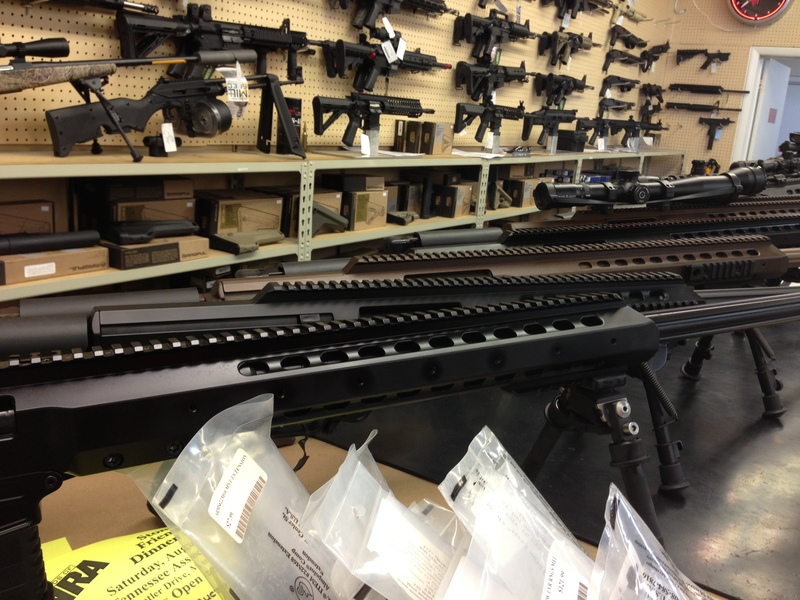 Also, that place has probably the best selection of Magpul goodies I’ve ever seen on a physical store rack. The open floor plan is nice, and apparently it’s like that because one of the three “spokes” of the building used to be an in store restaurant, but they decided more showroom space would be a better use of it. I went there several years ago, when the restaurant was still there. They sure have some high quality rifles back there, nice store. However, “The Armory” is a packed little shop in Virginia Beach, VA.
I’ve been to both, Outpost is an amazing shop! However, I got a nasty stink eye from the fat guy with glasses behind the counter at “The Armory”. I’ll never set foot in that store again. That’s actually where I bought my first AR early last year (which began a frantic spending spree to customize, and then build more rifles), and where one associate pointed me to Raven Concealment holsters for my 1911, which they didn’t carry, but strongly encouraged. Couldn’t have been happier. Although it seems as if their ammo prices have risen more than others, so I’ve yet to make the 90 minute trip back in the last few months. Wow. It’s been quite a while since I’ve seen a store like that. I’m 20 miles from this place and it is awesome. Santa knows my Christmas wish list and that the G26 lives there. 2 things from the pictures. Looks like they have a supply of .38 S&W, not exactly the most common round out there. And that looked like a kel tec SU with a drum mag? I too am a big fan. Good peeps there and it is a great place to stop while on 24. Good layout but I’m a fool for the Colonial Shooting Academy in Richmond Virginia. Largest indoor public ranges in the US, great staff, a cafe, and an amazing layout. I stop at this store every time I’m passing through TN. It’s a great place to kill time and they’ve got a good selection of ammo (yes, even right now). 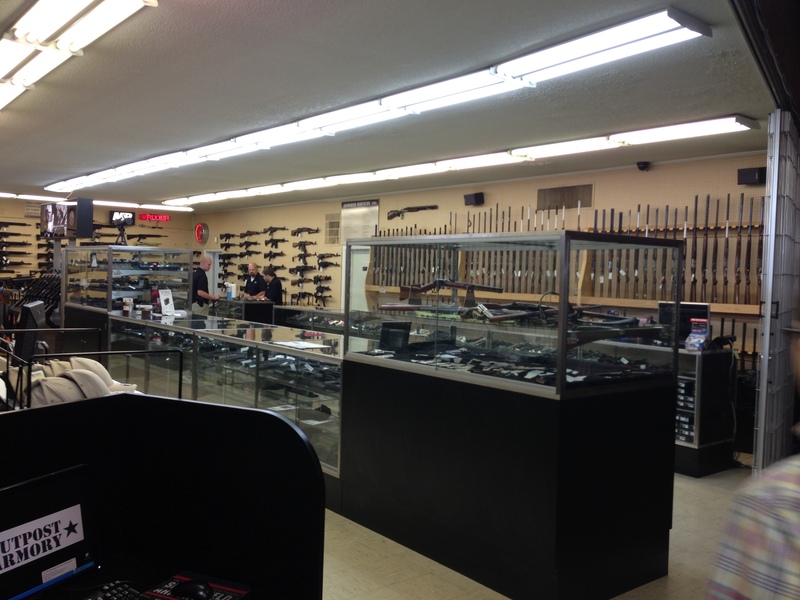 I stopped in on the way through three months ago and was amazed at their selection of arms and ammo. Friends thought I was lying when I talked about available powder, primers and 5.56×45. OA’s inventory management is top notch. If it’s available in the pipeline, they’ll have it… or get it. Bonerbonerbonerbonerbonerbonerboner. That is all I have to say about this. That I have seven boners. A bunch of sweet stuff that we Californians can’t purchase. I’m glad TX is still pretty free. Most of my stores are new-school, including a really nice one that opened up 2> years ago. The old school one I avoid. Just picked up a Ruger LCP for $299. Their sale on thousands of guns ends after tomorrow. Super-nice people, super-speedy service. I am privileged to live in close proximity to this gem of a retailer. Having recently spent a large sum there for 7.62x51POF with ACOG and Gen III ATN, I have been very dissopinted in service. No manuals in cases, all accessories missing from one case. Paid for assembly but given floor model. Call and wrote numerous times. For ATN box and most accessories, no manual. gave up. Nice folks but cut the cards and back out the door.